Crystal Cruises has just announced details of 6 new totally unique shore excursions for its guests to enjoy. These extremely limited-availability tours are not offered by any other cruise line and go beyond a traditional tourist experience and allow for deeper understanding of people and places that can only be gleaned from the perspectives of local, expert insiders. Bilbao, Spain. A tour of Santa Maria Cathedral, for a behind-the-scaffolding view of the 13th-century church's delicate renovation currently underway, personally guided by one of the project's architects or technical advisors. Santander, Spain. 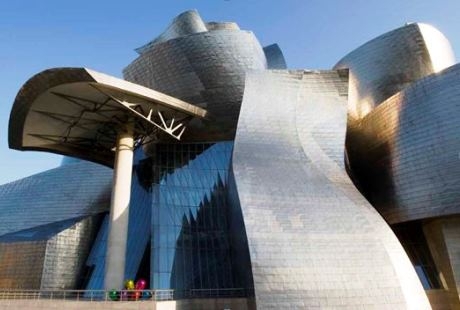 Special "backstage" access to Bilbao's Guggenheim Museum, whose Frank Gehry-designed architecture houses not only some of the world's greatest art, but also Michelin-starred restaurant Nerua, where guests will dine on innovative cuisine rivalling the museum's other masterpieces - and visit the kitchen to learn how it's all made. Dublin, Ireland. Seafood Master Class at the Cliff Townhouse restaurant, with resident chef Sean Smith, who will instruct on the traditional Irish preparation of the area's most popular catches, before treating participants to a delectable three-course feast. Greenock, UK. VIP Edinburgh Military Tattoo experience, with a multi-course dinner in Edinburgh Castle's Gatehouse, pre-and post-show champagne and VIP seats in the "Royal Gallery" for the annual Tattoo. Taormina, Sicily. Exclusive exploration of Italian national monument Casa Cuseni in Taormina, which boasts extravagantly designed gardens and spectacular views of Mount Etna, plus an elegant Sicilian lunch in the property's private villa. Stockholm, Sweden. View Stockholms must-see sites, vintage VIP style, first by chauffeured classic car - such as a 1938 Cadillac Fleetwood Limo - then by early 20th-century tram, though historical locations such as the Vasa Museum, enjoying traditional Swedish "Fika" (coffee and local delicacies) en route. Crystal's passion for creating exclusive, eye-opening luxury shore-side experiences are cornerstones of its Crystal Adventures programme, earning the line top ratings for two decades.